For a delicate dose of deco, try this stunning, princess-worthy silver floral and pearl hair comb. We are kind of becoming obsessed with vintage hair accessories as it is such a simple, effective way to finish off and update your wardrobe. This silver and crystal slide has a whole lot of bling for your buck with swirl, leaf and dainty flower inspired design all topped with faux pearls to really add a Hollywood starlet vibe. 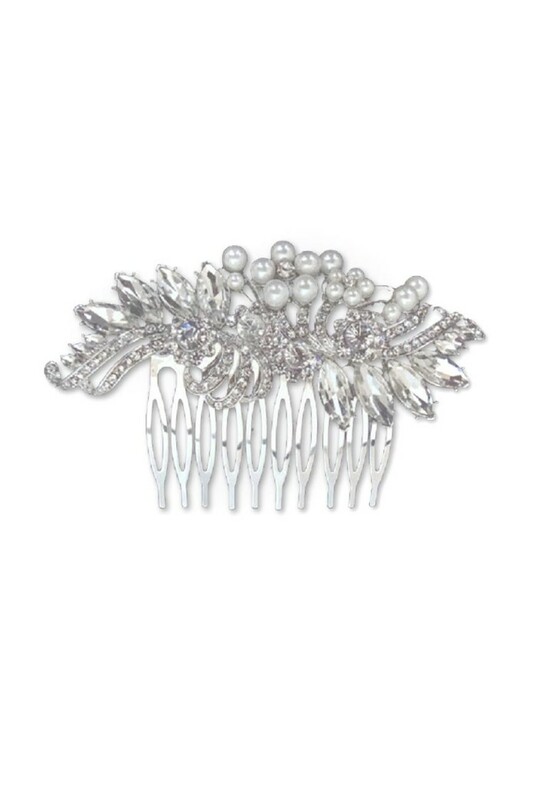 Whether you have a pixie bob or full length tresses, this 1950s style hair comb will take your hair do to new heights (without the backcombing).